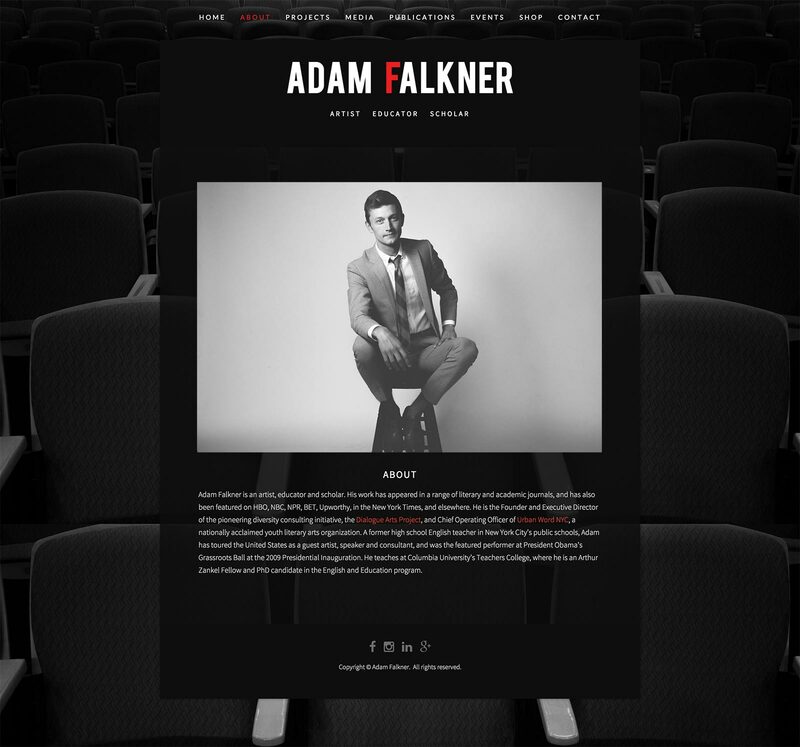 Adam Falkner wants you to know exactly who he is and what he does. 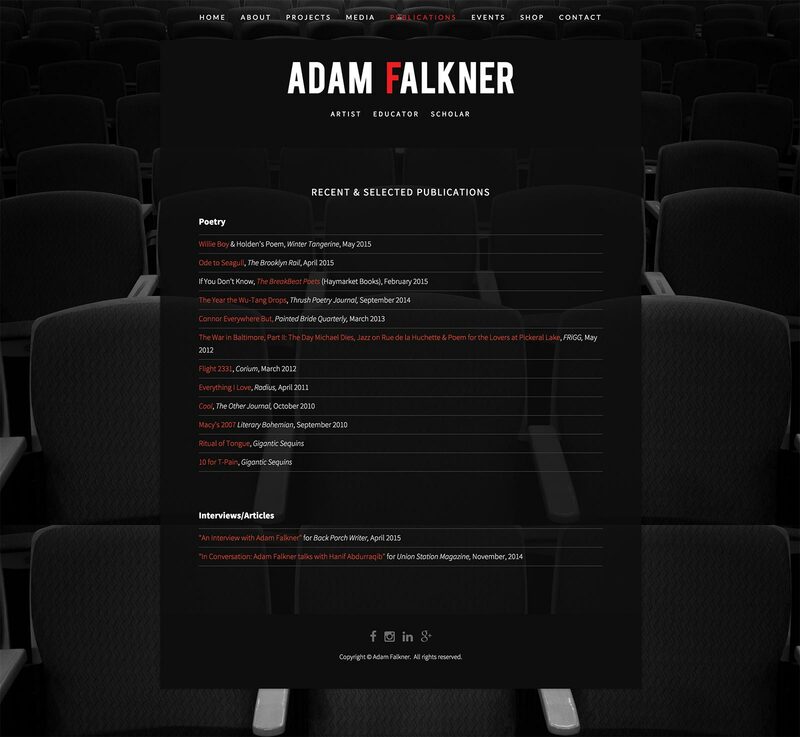 His old website, while functional, didn’t convey the message Adam wanted to communicate to his followers. 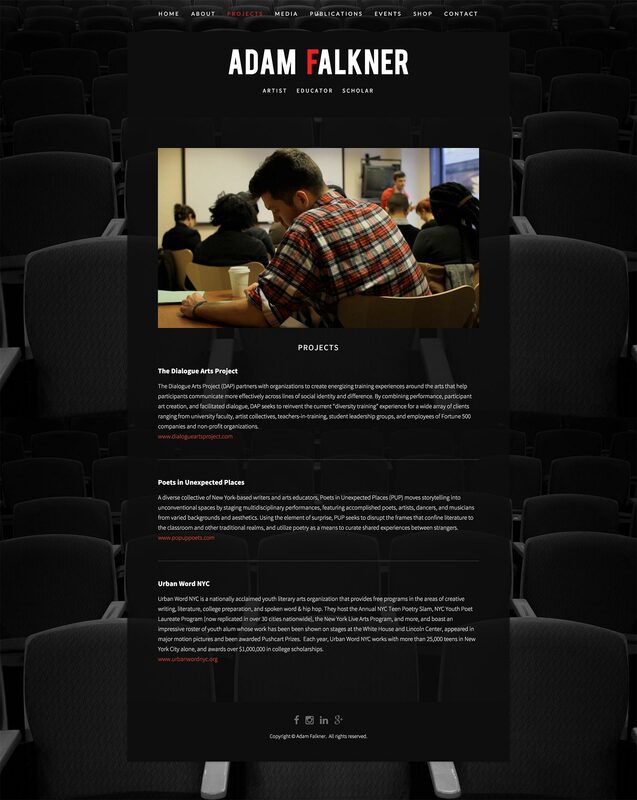 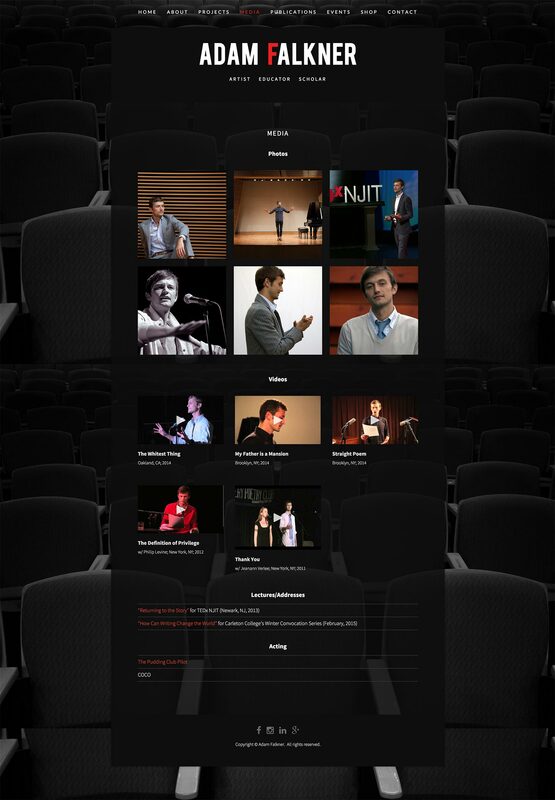 I designed and developed a site refresh that conveys Adam’s personality and educates visitors about the important work he’s doing as an artist and educator.